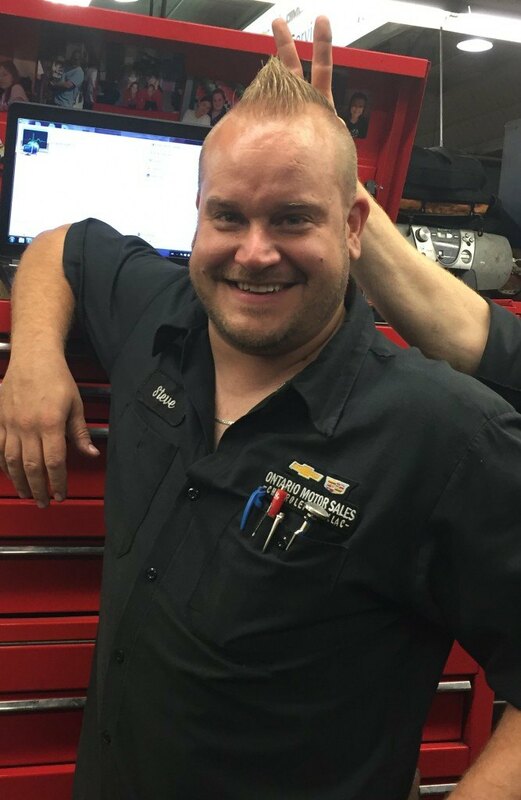 We are excited to feature Steve Koehl, Service Technician, as our Feature Friday interviewee this week. Please scroll down to read about Steve's take on life around the dealership. OMS means family to me, in a lot of ways. There’s a very strong family aspect that I noticed right away when I came here, and I appreciate that very much. Take the children’s Christmas party, for example, where employees’ kids under 12 are invited to celebrate the holidays and each of them walks away with a nice gift. That’s not something the company has to do, but they do it because they love fostering that family setting. I’m in my seventh year at OMS now, and I can say that it has definitely been my most significant employer. My favourite part has definitely been my daily interactions with my coworkers. Sometimes our tasks as mechanics can be a bit tedious, so it’s important for us to have fun and laugh as much as we can. I love making people laugh. That’s something I try to do if I see someone having a bad day, whether it’s an employee or a customer. I’ve made it past the coworker stage with so many people here, and now we’re just friends. It’s great. Customer interaction is key, and I try to talk to as many customers as I can. I think that’s why a Service Advisor’s job is so important; they have to be careful listeners and be sure they understand every angle of the customer’s complaints or concerns before it comes to us. I’m always sure to hold the door for someone, or tell them to have a nice day or to enjoy their weekend. The little things really can make a big difference for someone if they’re going through something tough. It’s a well-run business where everyone knows what they’re doing. Probably the best part is that we recover from bumps in the road very quickly here. Generally any issues that come up in the shop are dealt with so that everyone can move forward in a positive direction. And we’re always looking for ways to impress people. Take this interview series, for example. It shows our customers and other employees around the dealership that vehicles are complicated, tricky things from all angles—delivery all the way through to service-work. It’s great that we can help people understand that OMS is a living organism—not just a machine.